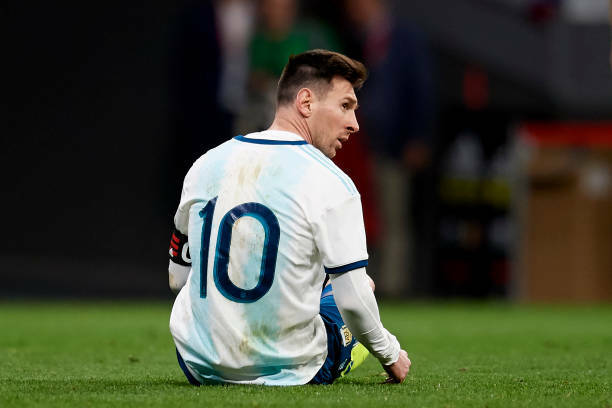 Lionel Messi will miss Argentina’s friendly against Morocco on Tuesday due to a groin injury picked up against Venezuela on Friday. The Barca captain made his first appearance for his country since the World Cup on Friday in their 3-1 defeat at the Wanda Metropolitano. However, not only did Argentina lose, they also saw Messi pick up a minor problem. Barcelona confirmed the news in a short statement on their website. injury picked up on Friday night means he will miss Argentina’s game against Morocco on Tuesday. Messi will now head back to Barcelona for treatment, and it’s unclear how long he will be sidelined for, although initial reports suggest the problem is not too serious. Barcelona return to action on March 30 against Espanyol in La Liga and hopefully Messi will be back to full fitness by then.